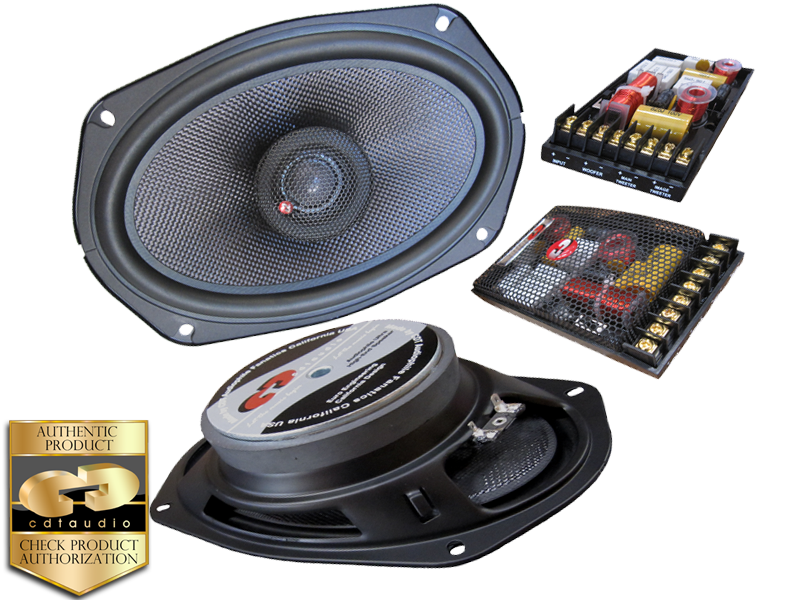 The HD-690TSX 6X9" component coaxial system is designed and built for the unique demands of the car audio environment. We all know high fidelity means faithful to the original. Our new HD-690TSX slim design component coaxial is built to deliver the truest, in-car sound possible from a slim 6X9" component coaxial system. Smooth and accurate highs. The ES-1200iS 1.2" silk dome tweeters combine to deliver superb wide dispersion detail and incredible clarity. The 6X9" woofer is smooth with a fast deep clean sound into the lowest bass frequencies. Combined with the NEW EX-550i "Transient Optimized" 24dB electric, 60dB acoustic crossover and ultra wide dispersion transparent silk dome tweeter makes this system a sound performing 6X9" component coaxial system audiophile listeners praise over and over. The best sounding slim 6X9" system there is and slim size makes it fit almost any vehicle.